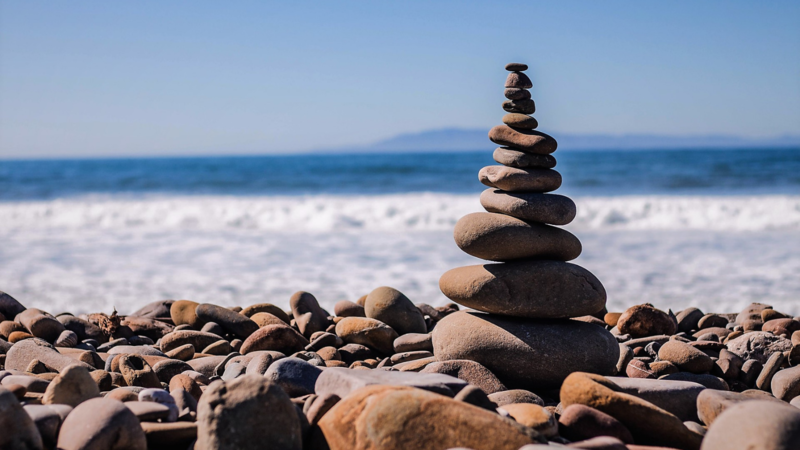 Expanding the perception and practice of mindfulness are some of the key elements that will be incorporated into the second annual conference from Arizona State University’s Center for Mindfulness, Compassion and Resilience. Nika Gueci, the center’s executive director for university engagement, says when people think of mindfulness they often imagine peace or happiness, which is wonderful — but it’s not the full picture. "Mindfulness is also about learning to live with discomfort and finding ways to bring thoughtfulness and compassion to yourself and others in difficult situations,” Gueci said. We spoke with Gueci; Tiara Cash, the center’s program manager; and Teri Pipe, ASU chief well-being officer and the center’s founding director, to learn what else attendees can expect and to find out about the keynote speakers who will cap off each day. Question: How did you come up with this year’s conference theme, "Water and Stone: The Power of Mindfulness for Social Change"? Cash: In today’s social climate, there is definitely a need for more conversation around how we bridge gaps and create positive change. The theme "Water and Stone" came from the ideology that water, seemingly soft and impotent, over time has the power to change even the hardest rock. This understanding of time and diligence found in the qualities of water can be seen in the actions of social transformation. The work we do today can have a lasting effect on the generations after us. With mindfulness as the structure of communication and action, the movements we dedicate ourselves to can create a compassionate, more resilient, self-sustaining change. Q: This is the second year you’re hosting this conference. Any lessons from your inaugural event that you’re applying to this year? Cash: This year, we will be incorporating more visual and performing arts to solidify the experiences of the conference. Otherwise, the structure will be very much the same. We are dedicated to bringing a conference that shares academic and experiential learning. Gueci: This year’s conference will be co-created with the audience. The conference participants will be instrumental in discovering and generating methods to move forward in social harmony through the practice of mindfulness. Post-conference, the center will be sharing these ideas and recommendations to forge ahead with a deeper understanding of societal interests in an effort to shape greater individual and community resilience. Pipe: We received very positive feedback from last year’s participants about the chance to experience a variety of views and mindfulness practices, tailored to their comfort level. Participants in our classes and workshops are seeking to expand the impact of mindfulness and compassion in more far-reaching ways. We recognize that mindfulness can be used as an approach for personal well-being, yet given our social context the potential is so much larger than the individual. Q: Can you tell us a little bit more about the background of each of the keynote speakers and what they will be sharing? Cash: Kamilah Maijed is a mental health clinician with a background in social oppression on mental and behavioral health. She has a focus on mitigating systems that cause marginalization on the individual, familial, organizational and community levels. She will bring deep conversations and activities to the audience on compassion training and working through being comfortable with discomfort. Rhonda Magee is a mindfulness-based stress reduction (MBSR) teacher for law students, lawyers and professionals alike. She has a background working to minimize social-identity bias in professionals through contemplative and mindful practice. Her work spans keynotes, trainings, workshops and retreats. At this year’s conference, she will be discussing courage and intentionality in understanding the roles we have played in society and how we build mindfulness into our everyday lives to continue to challenge these roles. Q: What, if anything, do people interested in attending need to know before signing up? Cash: This conference is for everyone! We are excited to bring a topic to ASU that focuses on using the tools of mindfulness to bring action to each of our work and to promote change in the community. Anyone and everyone is welcome! Gueci: Everyone who is interested should register soon! The early-bird pricing is until Jan. 18 ($169 for one day, $299 for both days). We are capping the conference at 100 participants this year. Students are encouraged to apply for our student scholarships. The deadline to apply is Feb. 1. Those interested in sponsorship opportunities can learn more about different options for involvement. Q: What do you hope people will take away from attending this conference? Cash: I hope people will gain insight into their own lives and the lives of others and take that insight to the level of emitting positive change through this convening. I’m looking forward to creating content that allows for any experiences and awareness to rise in each individual and the collective group that is needing to show up. And, working together with an understanding that we are all experiencing this content together and with solidarity. Pipe: Participants will be challenged to explore not only how mindfulness, compassion and resilience relate to their individual lives, but also how these approaches may impact families, neighborhoods and larger communities. What: Water and Stone: The Power of Mindfulness for Social Change. When: 9 a.m.–5:30 p.m. Feb. 28–March 1. Where: A.E. England Building, 424 N. Central Ave., Phoenix. Cost: Early-bird one-day admission: $169; early-bird both days: $299. Student scholarships available. *Prices go up Jan. 18. Music or a painting that catches your breath and makes you see the world in a new way. Looking up at the vast red cliffs of Zion, across the depths of the Grand Canyon or skyward at the galaxy on a clear night. These experiences can make people feel awe, or an overwhelming feeling of wonder. Psychologists consider emotions to be fundamental necessities for human survival. Much research on emotions in social psychology deals with negative emotions, such as anger, sadness, disgust and fear. While these emotions are unpleasant to experience, they are important to understand because they can help people avoid threats or danger. When experienced too often or in inappropriate situations, negative emotions can lead to problems that might require treatment. Because positive emotions occur when things are going well and generally do not underlie mental health problems, Shiota said they have not been a big focus of psychology research until recently. The field of positive psychology is about 20 years old, which is relatively new for a scientific discipline. “Positive psychology seeks to enrich the human experience by understanding our strengths and the mechanisms of the mind that produce what is best in us,” Shiota said. Before positive psychology, scientists who studied emotions lumped all positive emotions into a single category labeled “happiness” or “joy.” Shiota recently showed that positive emotions such as love, enthusiasm, pride, amusement and awe are distinct, differing from each other in important ways. Shiota and other positive psychology researchers have shown these emotions differ in terms of body physiological responses, facial expressions and the effects on how people process information and make decisions. Of all the positive emotions she studies, Shiota said awe is the most undervalued by researchers, and by society at large. People can experience awe when confronted with a vast natural landscape, like Zion or the Grand Canyon, or when listening to extraordinary, complex music. People might also feel awe when witnessing an extraordinary act by another person or while viewing art that changes how they see the world. 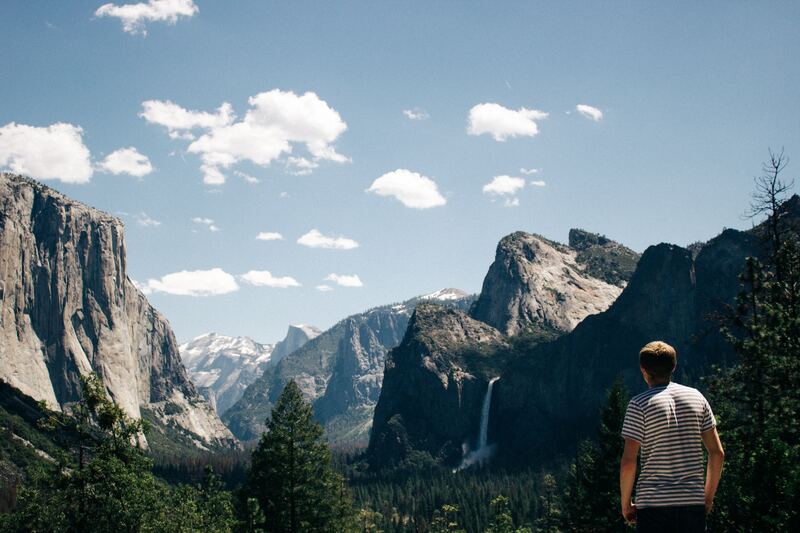 The emotion of awe is likely specific to humans, but is not specific to one culture. Across the world, different cultures create and honor awe-evoking places like Notre Dame in Paris or the ancient pyramids of Egypt. When people feel awe, their mind clears and their attention becomes focused on the extraordinary thing evoking this emotion. These effects can be thought of as a temporary form of mindfulness. Usually mindfulness requires extensive training and effort, but Shiota suggested that awe-induced mindfulness happens automatically. Experiencing awe can dampen the body’s stress response and can change how people process information. An awe-evoking scene or experience is one that is profoundly unexpected, and not already contained within someone’s knowledge about the world. Shiota said this violation of expectations seems to promote the intake of information in a relatively unbiased way. “When we feel awe, we are less influenced by our expectations. We generally have a tendency to see what we expect to see, but awe can let us focus on collecting information about what is actually there,” she said. To elicit the emotion of awe in her lab, Shiota shows participants videos and photographs of extraordinary natural phenomena. She also asks participants to remember their personal experiences with awe and uses guided imagery instructions to help people envision a new awe-inducing experience. Shiota compares these participants to other groups who experienced other positive emotions or neutral emotions during the experiment. She can then test how awe affects a participant’s memory and response to stress. Shiota has also looked at how awe impacts whether people are convinced by different persuasive arguments. Shiota keeps finding that awe looks quite different from other positive emotions such as enthusiasm, contentment and pride. She is currently working to understand whether awe could be useful in promoting better health behaviors and mental well-being or in improving education. Shiota studied at the University of California, Berkeley and Stanford University prior to coming to ASU. Before she decided to pursue a research career in social psychology, she studied the arts. Shiota attended a Los Angeles area high school that specializes in the performing arts, and she majored in drama while also studying singing and dance. In graduate school, Shiota decided to merge her love of the arts and academics by pursuing her interest in how emotions could predict and influence people’s behaviors. She currently runs the Shiota Psychophysiology Laboratory for Affective Testing in the Department of Psychology. Shiota also teaches dance at a local studio, sings in a blues band and is an avid hiker.